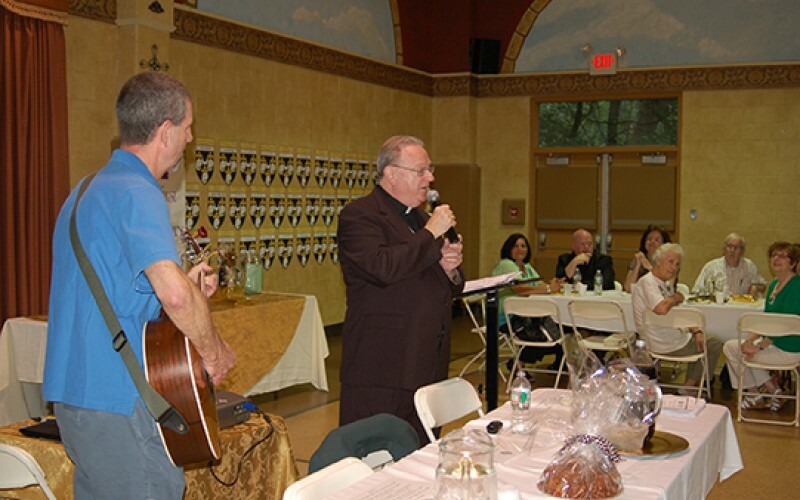 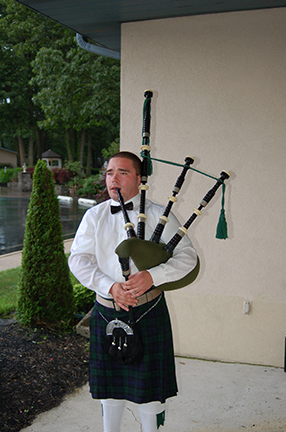 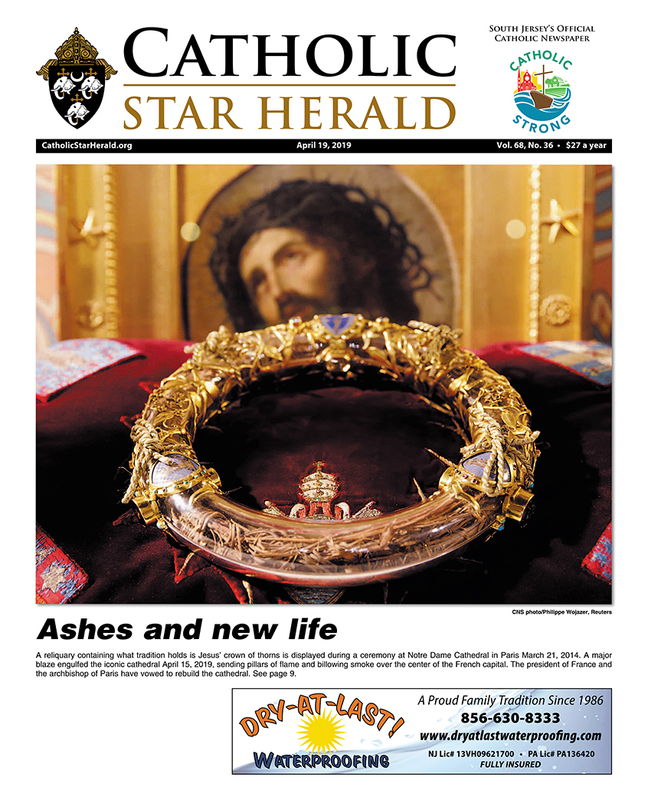 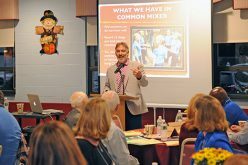 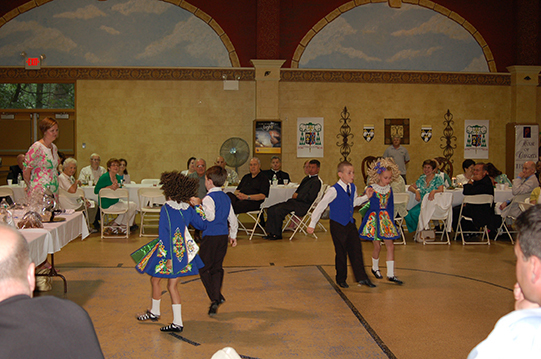 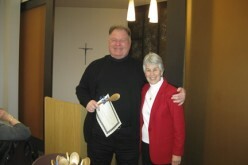 Parishes reported totals for The House of Charity-Bishop’s Annual Appeal June 25 at St. Charles Borromeo Parish in Sicklerville during the Irish-themed report meeting and reception. 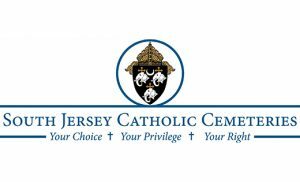 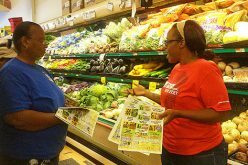 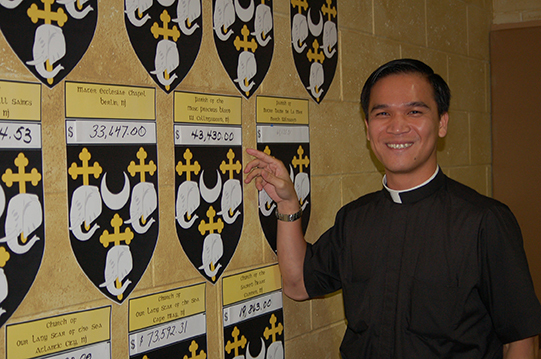 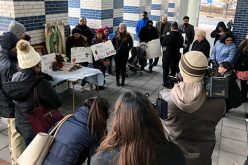 The House of Charity thanked parishes and volunteers for what they have raised so far and announced the total amount of more than $6.1 million raised to date. 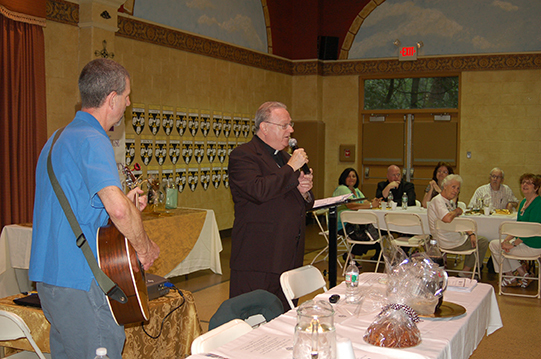 Above from left, Bishop Dennis Sullivan sings an Irish tune, accompanied by Irish ballad singer Tom Brett; students from Coyle School of Irish Dance entertain guests, who were greeted by bagpiper Liam Worthington; Father Thanh Pham of Most Precious Blood, Collingswood, points to his parish figures.